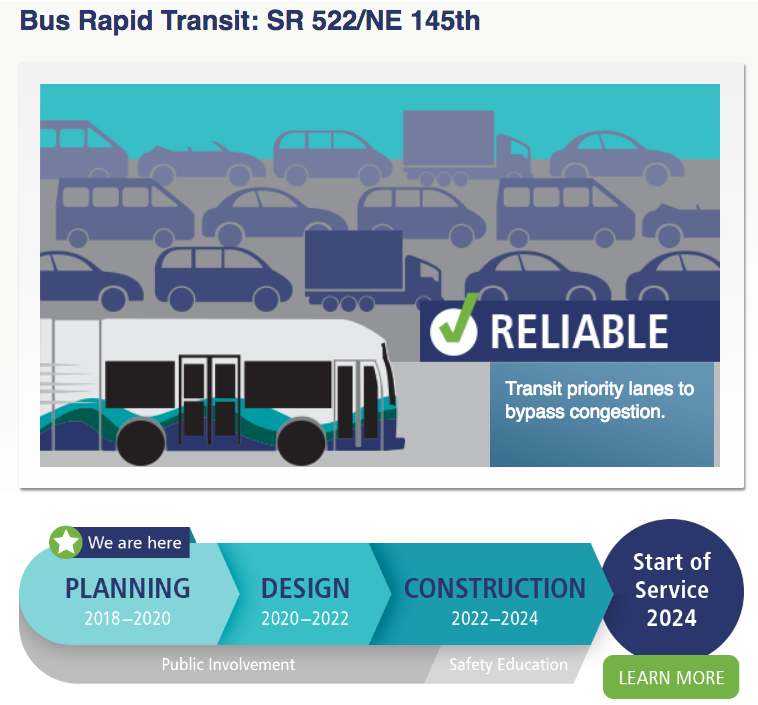 Residents are encouraged to attend one of the upcoming community meetings to share feedback on the Sound Transit SR 522 / NE 145th Bus Rapid Transit (BRT) Project. During these meetings, new information will be shared about project refinements based on continued technical work and public feedback gathered last May. Each meeting will focus on the refinements specific to that community. Each public meeting includes an afternoon and evening session, so feel free to attend whichever time best fits your schedule. A brief presentation will be shared about 30 minutes after the start time of each meeting. Come share your input on parking, station locations and traffic lane configurations in your community! If you haven't already, RSVP for one of the community meetings at sr522brt.participate.online. You can also learn more about the project and share your thoughts with us online if you cannot attend any of the meetings. Feedback on refinement options will be collected through October 19, 2018.